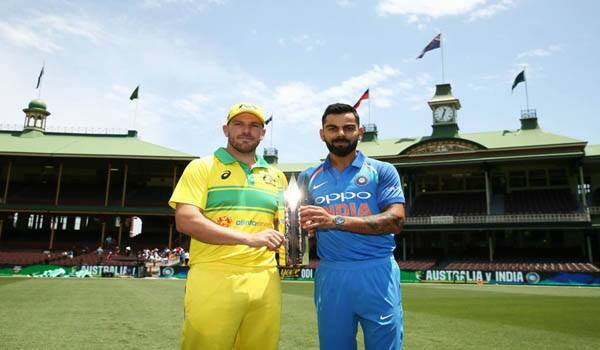 Sydney: Australia have announced their playing eleven for the first One Day International (ODI) match of the three-match series against India here on Friday. Veteran right-arm bowler Peter Siddle has been called in to join the team after eight years of sitting out. Australia captain Aaron Finch confirmed his side, with Siddle to join Jhye Richardson, Jason Behrendorff and Nathan Lyon as the fourth specialist bowler in the playing XI. Marcus Stoinis can be used as the fourth medium pacer.Finch will partner wicket-keeper Alex Carey at the top of the order, with Usman Khawaja is scheduled at come at No 3. Shaun Marsh follows Khawaja, with Peter Handscomb, Stoinis and Glenn Maxwell rounding out the top seven. "It's just an opportunity to see Alex play in a position he's done quite bit in Big Bash and one-day cricket," Finch said when asked about Carey's promotion from number 7 to opener. The first ODI of the series will be Siddle's first ODI in eight years having last played the 50-over format for his country in November 2010 against Sri Lanka in Sydney. "I never thought I'd get the opportunity to play one-day cricket for Australia again," cricket.com.au, the official website of Cricket Australia, quoted Siddle as saying. "So yeah I feel like a young kid getting this first opportunity, so it's pretty nice to get that phone call and be around the squad and have the potential to play an ODI after a long time away," he added.On the other hand, Indian team is yet to announce their playing eleven.